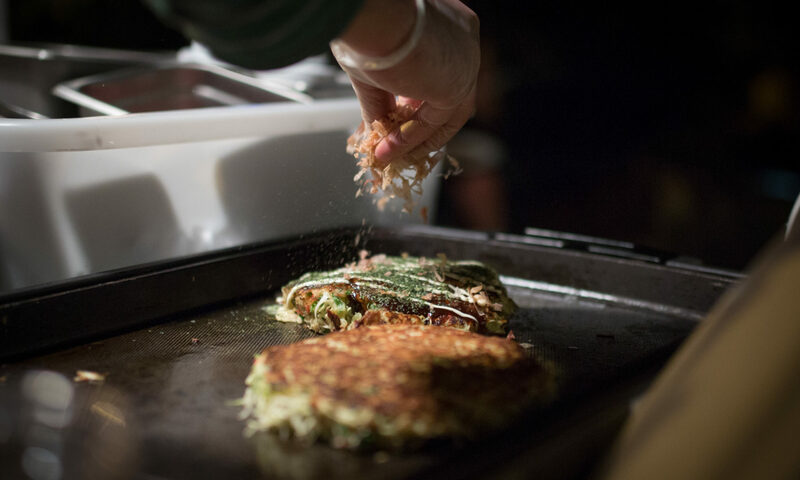 Savory Pancake with choice of protein, cabbage, and lots of ingredients mixed in, topped with a special Japanese bbq sauce, Kewpie mayo, seaweed flakes, and bonito flakes! Fried Noodles with choice of protein, stir fried in a special sauce with authentic ingredients mixed in. Ground pork and chives in a handmade skin with a spicy sesame dipping sauce.